You might think that this is a tough looking gang of “thugs”. 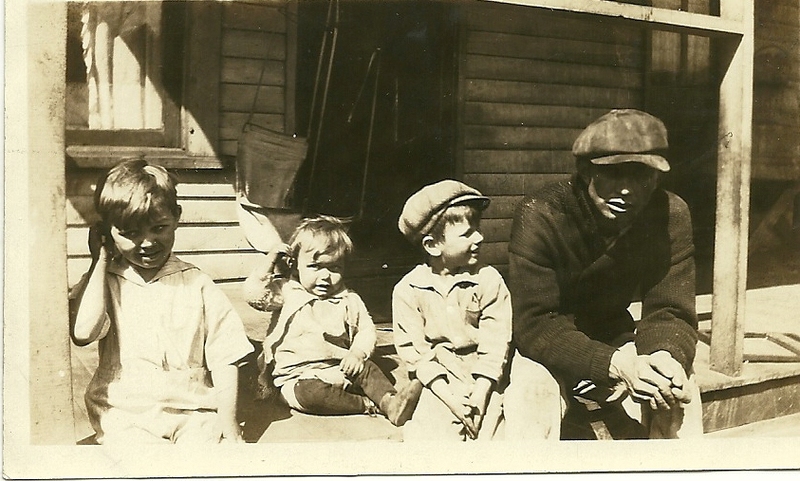 But, a closer looks reveals these thugs to be Henry Burl Stevens Jr, Tom, Bill and dad, Henry Burl Stevens Sr. sitting on the front porch of their home in Indiana. This entry was posted in Stevens and tagged genealogy, H.B. Stevens Jr., Henry Burl Stevens Sr., History, Indiana. Bookmark the permalink. Who knows what boys do?